Kissing under the mistletoe. For some it’s the most awkward moment of the holiday period. For others, it’s the best chance of getting a bit of kissmas action (see what I did there?). But the truth behind the tradition is as dark as night. As someone who occupies a place in the latter category, it seemed only fair I be the one to tell the tale of where the cringeworthy custom comes from, so gather round for a Christmas tale so ghastly Jack Skellington would make a mess from his boney behind. And because I got an E at A level History, thanks go to History who I copied my homework off. 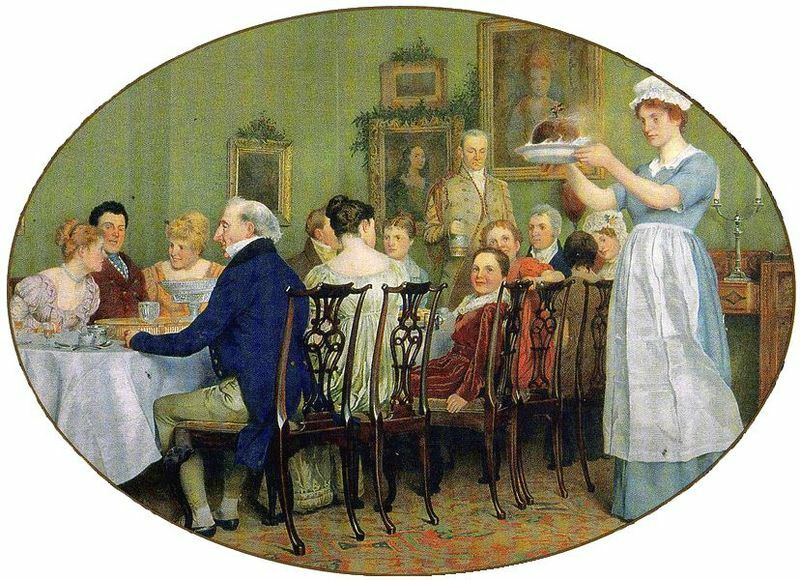 In a fitting irony about the holiday – based on the birth of God’s baby and repurposed for our contemporary commercial world – the history of mistletoe’s place in the Christmas playbook goes back over two thousand years to about 1 AD, roughly about the time little Jesus rocked up, which is the meaning behind it all when you think about it. And drinking before lunchtime. The Greeks, who were around before Boots and Superdrug, used the little berries as a balm for things like menstrual cramps and spleen disorders. While Roman naturalist Pliney the Elder (and that’s more David Attenborough and less Keith Chegwin for those of you that get the term mixed up) noted it could be used against epilepsy, ulcers and poisons. It may come as no surprise to you that 2,000 years ago things were pretty chilly this time of year in the place we now know as western Europe. Because mistletoe could grow in the harsh climes the Celtic Druids came to see it as a sacred symbol of vivacity, administering it to animal and human alike in the hope of restoring reduced winter mojo levels. 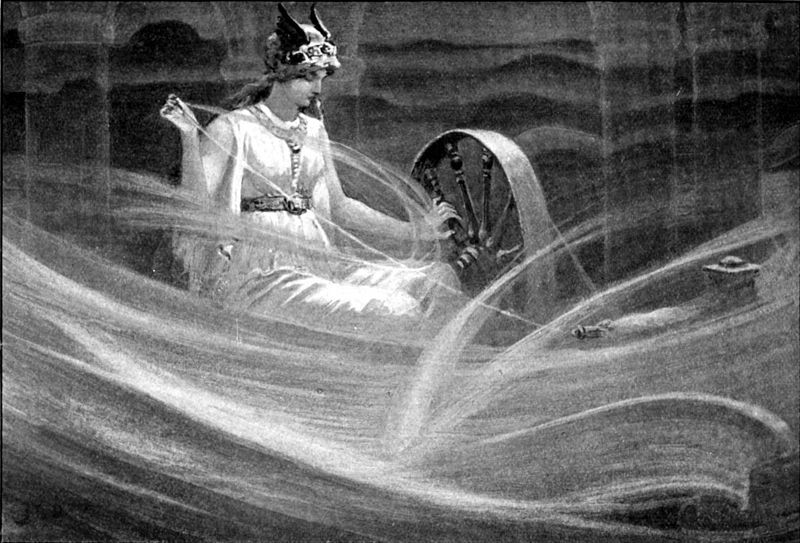 The fun bit though comes from our mates in the north – as always, the Norse are so in right now – and comes from an old folklore tale. Folklore, eh, they were the original hipsters when you think about it. Frig, comical name aside, did a silly and didn’t speak to the mistletoe, so cheeky old Loki – the god of mischief – made a mistletoe arrow to kill the otherwise invincible Baldur, stretching the definition of ‘mischief’ to ‘murderous’ in some respects. A happier version of the myth sees the gods rescue Baldur from his morbid destiny, and in her relief Frig declare mistletoe a symbol of love, vowing to plant a kiss on all who passed beneath it. Which is a classic sign of the crap we put our parents through and the overreation they respond with. 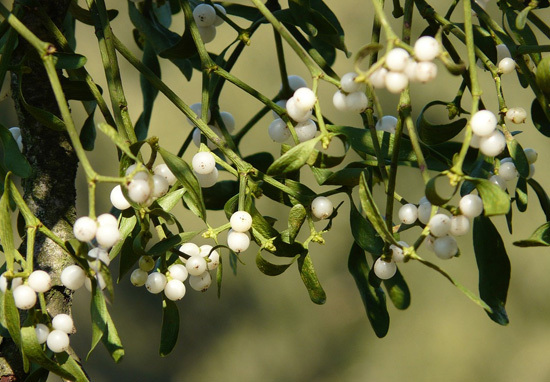 Mistletoe’s connection with fertility and vitality continued through the Middle Ages and was a staple of Christmas traditions by the 18th century. How it got from being a sacred plant to staple piece of home decoration is up for debate, but it’s thought the kissing tradition caught on among servants in England before spreading to the middle classes. The early custom allowed men to steal a kiss from any women caught under the berries, and refusing was bad luck – which sounds like old fashioned consent norms. While another tradition instructed festive folk to pluck a berry from the branch with each kiss, and continue kissing until they were all gone. So there you go, an ancient Greek chemistry lesson, a dead Norse god and Victorians getting all frisky, all the ingredients for a classic Christmas tale and not a drop of Bailey’s spilled. Now what did I do with my bush?